Review: This book was about two kids named Jack and Annie, who find a magic tree house in the woods. They soon find out that it belong to a secret librarian named Morgan Le Fay. The tree house could bring them to different times in history. On this adventure they have to help a great artist go on the path to sharing his talents with the whole world. They bring a magic flute that they can use in their darkest hour, but the flute could only be used once. Annie is my favourite character in this book. When I was reading this book I felt like I was watching a 3D movie. I think this series is my favourite series of books to read. I hope you enjoy them too. 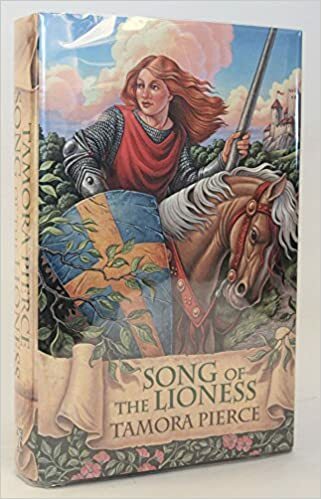 Review: This story is about a princess who also has a secret identity and there is a nosy duchess in her house who is trying to find out about the princess. The best thing I like about the princess is that she fights monsters. This book is pretty funny and it is also a mystery book. Review: There once was a little hedgehog named Hailey, her job was to pick up leaves and clear the path for the parade. She spotted a hamster named Hugo and then she helped Hugo. Hugo made Hailey a necklace made with holly and berries. She then flew off and saw a little mole who was by a pond with Mindstones. She helped the mole and the mole gave Hailey a Mindstone and put it on Hailey’s necklace. She flew away and then she saw a dog scratching a tree and he hurt his paw from designing on trees, so Hailey did it for him. At last it was time for the parade to start and Hailey was the leader. Review: This book is about two friends Claire and Delia who are watching a movie that was shot in an old mansion which people said it was haunted, and the film was never finished because in the movie the real stars got killed by objects in the house. So since Claire’s dad is film director he decided to remake the movie since it was never finished. When they arrive at the mansion they meet one of caretakers there who tells them to leave. So then Claire wonders if those things that happened to the stars was just a coincidence, or was the house really haunted? This book made me scared because I never knew a house could be able to kill people. My favorite character would have to be Claire because shes really curious. Review: My sister recommended this amazingly awesome book for me to read. It features and pair of twins, specifically the girl, in the Medieval times. The girl wants to be a knight and the boy wants to be a wizard. Since the boy is going to be a knight, and the girl is going to a place that also teaches boys sorcery, they decide to switch places. The book is told from the girl’s point of view, and is about all her exciting adventures. Review: The book is exciting because somebody is stealing vegetables from peoples gardens. My favourite character is Violet because she likes to draw. Review: The book is about a fair that Creepella and Geronimo find out that there is a roller coaster making everyone who rides it disappear. Overall the book is okay to read and the weakness of the book is the reason that the mouse made everyone disappear wasn’t a really good reason. Review: It is great for learning about survival in the winter. Like so many people learn, Brian accidentally turns on a transmitter and he gets saved. But what if he didn’t get saved what if he had to survive winter, his most deadly enemy. But keep in note that if he got dropped into the wilderness in the winter with his luck and smarts he would still die, but remember there is always a way to get helped. Review: This story takes place in Russia. My favorite characters we Aleksandra, Colette and Nicky. This book was so good I just could not put it down. I cant tell you much but you have to read it. 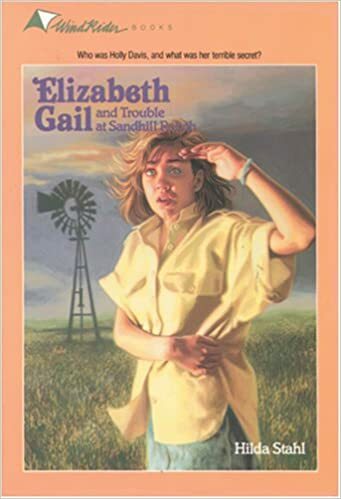 Review: The story Elizabeth Gail and the trouble at Sandhill Ranch is about Elizabeth Gail going to Sandhill Ranch and meeting new friends. But trouble finds it’s way into Elizabeth’s dream vacation.Why was her new friend Holly always so afraid? Well the answer was Nolen Brown. Nolen and Aaron [Holly’s brother] were stealing anything from money to knives. But brave Holly returned the things with out them knowing. She was also afraid because she thought Nolen or Aaron would get her in trouble. So she decided to talk to Elizabeth about it. As Holly was having problems, Old Zeb the keeper of the Ranch was telling Elizabeth that once her family went home she would stay on the ranch. But all they need to do was have a talk with their parents. Review: This book is amazing! It all starts in the poor city of district twelve where Katniss Everdeen and her friend Gale are preparing for a feast after the yearning which is a day to draw a persons name to see if the are in the HUNGER GAMES!!!!!!! But everything turns to the worst because Katniss’s sister is chosen but she volunteers; what does she do? She is transported to the capitol of her country to be treated before the games and at the capitol she is being treated like her majesty. But when time is up and they must face their doom they are very nervous,they think about their future and their love ones. What will happen? Will she survive? Review: This book is when Harry Potter discovers that a wizard has broke out of Azkaban a wizard jail and is going for Harry. Sorry I cant say anymore or it ruins the story. Review: The book was about a man named Gilbert Finch. He jumped off of a train to catch a dog in Allerton and no one could find him. My favourite characters were Henry, Jessie, Violet, and Benny. They are the Boxcar children. The book was awesome and I think other people should read it because it was exciting to see how the Boxcar Children solved the mystery of where Mr . Finch went to. Review: This book takes place as Tom is in his house. Tom starts to test his new made telescope dish which is so clear it can disappear. Tom also makes flexible glass. Tom Swift and his financial manager/friend ned, both go to find an meteorite of which the glass is made out of. Tom Swift wishes that he can make a glass big enough to see Mars if it has any inhabitants. Review: This book takes place at Tom’s homestead. Tom swift had received a letter written by a missionary he had once saved in another book. The letter said that the Aztec’s had made a city full of Gold statues and houses under ground. 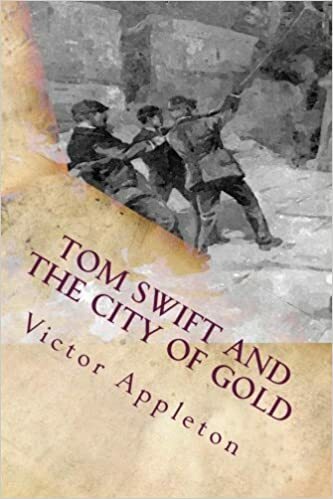 Immediately Tom Swift and his friends decided to go to the city of Gold. Tom Swift and perilous times during his journey to find the city of Gold. But at the end Tom Swift came home with an airship full of gold. Review: This story takes place in Tom Swift’s house. Tom Swift has sent for explosives for his cannon. the explosives were sent on a truck whose gasoline has leaked and has created a fire. Fortunately, Tom Swift’s recently caught giant takes the explosives of the truck. After testing his cannon’s explosives, he finally finds a explosive that suits him. It looks like Swiss cheese. 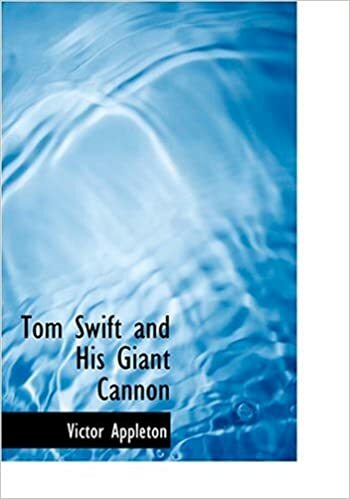 Tom Swift had his cannon made and after testing made a record of 33 miles. Review: This book is about a boy named Tom Swift, an inventor. Tom swift has created many a a plane. 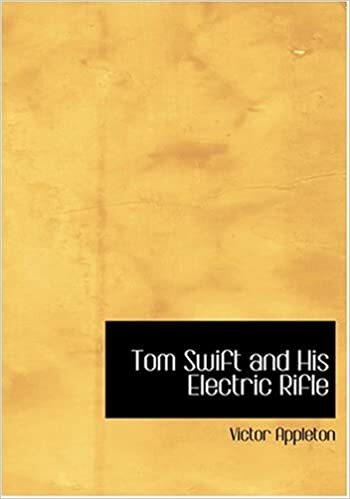 In this particular instance Tom Swift is testing out his new electric rifle in his Target Field. Later in the book, Tom Swift goes to Africa and hunts elephants for their tusks with Alexander Durban, Mr. Damon, and his best friend Ned. On the way he saves two missionary, Mr and Mrs. Illingway, and also Andy Foger and a German plane inventor. Review: The story takes place in a cabin. Kirsty and Rachel are best friends and they are on vacation. It is almost christmas and they are hoping to find another fairy while they’re on vacation. Jack frost sent his goblins to get the three magic objects from fairyland and bring them back to his castle. My favourite character is Rachel. Review: The story takes place at there house. Then Rachel and Kirsty went to the store. After, they went to get a smoothie and they met Bailey. My favourite character is Bailey, because she is a fairy and I like fairys. the book was funny. Review: Willow and his owner Samantha were taking a walk.Willow saw the wild the ponies. Samantha had never seen wild ponies before. Tomorrow was Samantha’s first day of school. The next day it was time for Samantha to go to school and Willow did not like that. After she went Willow stared rubbing on the bark around him to keep him safe. After a few minutes it BROKE! He ran away from his farm and he went where the wild pony were. He even made a friend, his name was Storm. But Samantha was sad because she could not find Willow. A few days later Storm said go back to your farm you do not belong here. So Willow went back to his farm and Samantha was very happy. My favourite character was Willow. It was happy then sad then happy. It takes place in the wild and the farm.